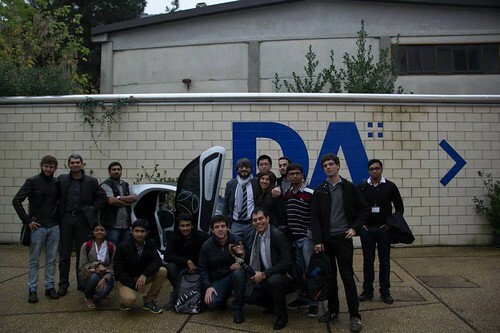 Car Design schools: Undergraduate & Master programs. An open letter to all those who aspire to become automotive designers. I am receiving too many questions about Master programs in Car Design schools with a particular attention to the real opportunity to become car designers once you got your Master degree. Some of you complain about personal experiences that did not turn out exactly as you expected, and some others ask to be reassured that getting the prestigious Master degree will really open every door in car design studios. Let me tell you, as I already wrote about it, to become a car designer is one thing...to implement your educational career with a Master degree is another thing! Sometimes both experiences go very well together, some other times these experiences do not converge they remain parallel and here we have a serious problem! To become a car design you need a good school! To become a car designer today you need to know first if you have talent and creatvity. Then you have to put together what we call an entry portfolio which is basically a collection of what you draw. Mainly cars, but I suggest to add also landscape sketching, products, illustrations and paintings if you paint. The entry portfolio will help school's commettee to evaluate your level of talent and creativity, but also your level of passion about design and car design. I help many of you giving regularly a feedback when you send me your mini portfolio. Now that you have your entry portfolio you have to search for a design school with a Car Design or Transportation Design Dept. made of teachers whom are designers themselves. Those teachers are not just academic with theory and rules they bring also the practical everyday experience in their teaching method. Do you understand now why you need 4 or 5 years to make your final portfolio hoping to get a job out there and become a car designer? The undergraduate program (course) is intended to take you by the hand from zero and step by step take you to the diploma day with a full educational experience made of: theory + practical activities. You should start at 19 or 20 years of age to end up between 23 or 25 years of age, you get your diploma which is generally a BS in Hulman Science in the Field of Transportation Design (it was for me back in 89 at Art Center College of Design, maybe today have different names). To me this is the main course to follow if you wish to become a car designer. So untill now I wrote about the classical course to follow in order to become a car designer with a recognized diploma. What about Master Programs in transportation design? The Master in Transportation Design is a 1 year course during which selected students make few advanced projects sometimes with sponsors. The objective of a Master is to give a higher project management experience to students, in other words give a higher level of experience that goes more in details about project management methods. The objective of a Master is to give a higher project management experience to students, in other words give a higher level of experience that goes more in details about project management methods. (My opinion according to my experience). In this sentence you have the difference between an Undergraduate course & a Master course. I translate for you: if you want to learn how to draw cars you need an Undergraduate Course, if you need to go more in details about design management and project management you need a Master Course. As I wrote above, students may experience converging courses experiences and parallel ones, lets see this aspect in detail to understand risk of problems. This is the case when you (students) get accepted to a Car Design school Undergraduated course, at the end you get your Diploma in Transportation design (potentially you can go and search for job). You wish to implement your educational career with a Master in Transportation design in order to obtain a better preparation on Design management and Project management, to do so you follow a Master in a good design school. You will have an extra year to improve some of your skills mainly management and methodology. Now you understand that if you start your design school experience with an Undergraduate program course and after you complete with 1 year Master Course you have a logic student career and when you will search for a design job you have all requirements to make a nice career in Design as a creative designer but also as a Design manager later on. It is logic! Parallel Courses experiences, we have a problem! This is the most problematic case. When I write "parallel experiences" I mean the following case which is the most popular at my knowledge. You (students) come from Engineering University or Architecture University or other type of fields. You did not go to a design school for 4 or 5 years before chosing your Master in Transportation design. You did not get all the basics of drawings I listed at the beginning of this Hub....basically you are at an entry portfolio level. However you have a dream, you want to become a car designer and you think that it is enough to go to a Master in transportation design + your Engineering degree to have all requirements to compete against design students coming from Undergraduate progral courses. This is the case when both educational courses remain most of the time parallel because it is impossible to learn how to be a car designer in 1 year at the age of 27 or 29 compared to young and fresh students who studied for 4 or 5 years! For this simple and logic reason it is difficult to put together a serious creative portfolio to get a job in Car design, only extremely talented people can make it because their own creative and skills level are very high and that year in Master Program helps them to complete them. However this is really the exception that confirms the rule it is not the everyday story! believe me: many many times I suggested to go to a really good Design school, make your 4 years at your best. Work on your final portfolio, if you wish to improve your management skills it is a good idea to follow a Master course in the same or another good design school or University. This type of experience will be the logic one to follow. If you are 18 years old and thinking to go to Engineering University to become a car designer STOP! Don't! You will complicate your life and most of times you will not make it!